Using M&Ms to Teach Statistics | Use M&M’s to teach percents, average, mean, circle graphs, and pie charts! Candy Corn Roll & Cover Math Game | Teach number recogntion and beginning addition with this free printable game. Candy Math – Counting, Weighing, Graphing | There are several great math ideas in this post! Jelly Bean Sorting Busy Bag | This game will work with jelly beans, M&Ms, Skittles, and other small, colorful candies. Jellybean Math | I love this activity for visual learners. As with the activity above, it will work with any small candy. Balancing with M & M’s | You don’t have to have a scale to complete this fun math activity. Candy Corn Math | I love this idea for teaching greater than and less than with candy corn! Fun Fractions with M & M’s | Teaching fractions has never been easier with a snack-sized bag of M&Ms and this free printable. Candy Corn Measuring | Forget measuring with paper clips and unifix cubes, how about using candy corn instead? Introducing Division with Candy | Use Twizzlers and Skittles to introduce your students to division. Dissolving Candy Experiment | It’s a race to see which candy will dissolve first! Pop Rocks Science: Capturing Carbon Dioxide | Can you blow up a balloon with Pop Rocks? What Can the Sun Melt? 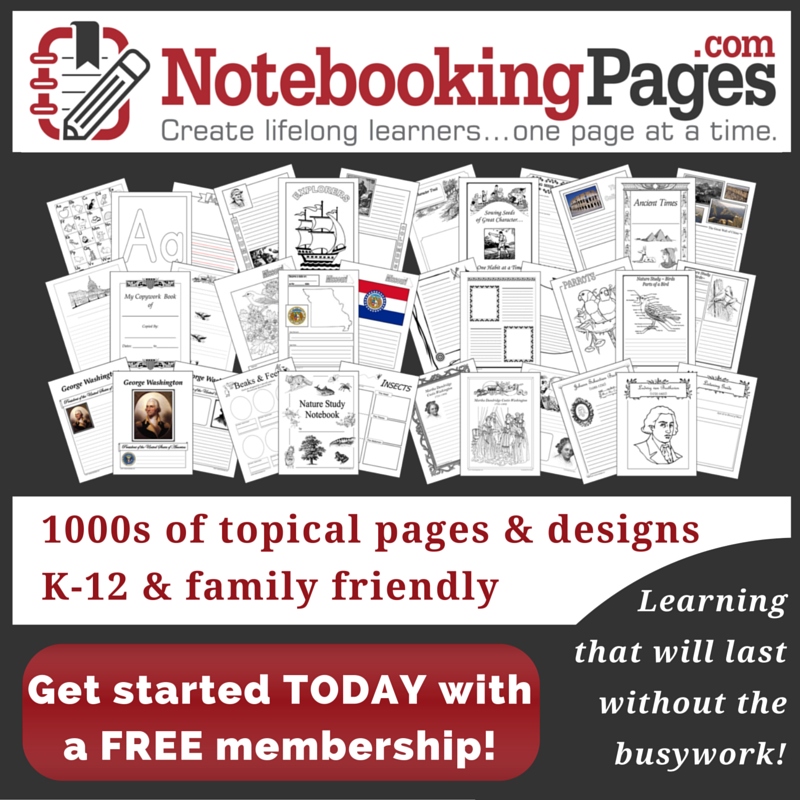 | This activity will lead to a great discussion about the power of the sun. Experimenting with Skittles | Two fun science experiments featuring Skittles. Dissolving Candy, Candy Corn Structures, and Candy Corn Oobleck | Three fun kitchen science activities featuring candy corn. Candy Taste Test | Explore the five senses with a candy bar taste test! Sink or Float Candy Experiment | Here’s a fun twist on a sink/float experiment. Edible Animal Cell | Here’s an activity your older learners will enjoy. Experimenting with Gummy Candies | Did your little ones get gummy worms or gummy bears in their candy bag? Try these experiments. They’ll be amazed! Candy Chromatography | Explore science and create a unique piece of art at the same time. Teaching Kids to Give Back | It’s important to teach kids to give back, and it’s easy to do with your leftover Halloween candy. 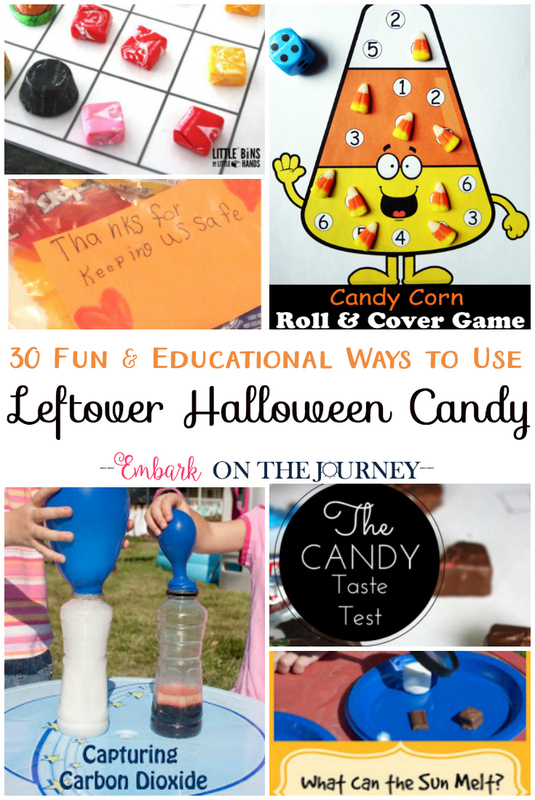 5 Fantastic Ideas for Leftover Halloween Candy | All of these ideas are fantastic! How to Make a Candy Lei | What kid wouldn’t want to make their own candy necklace? 8 Creative Uses for Leftover Candy | Every one of these ideas would be a hit at my house. 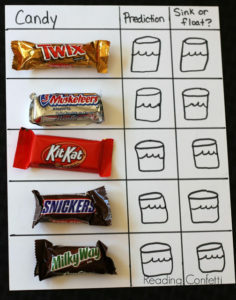 What to Do with All That Candy | More fantastic ideas! Starburst Candy Sculptures | Get your kids’ imaginations going by building sculptures with Starburst candy. Candy Jewelry | Edible jewelry? Yes, please! Candy Playdough | This recipe makes for a great sensory activity for little ones. Painting with Candy | This is a fun and unique craft idea for kids. 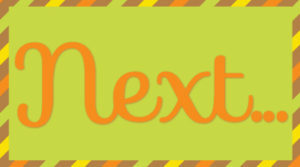 If your kids love being in the kitchen with you, click NEXT to discover 20 tasty leftover candy recipes!